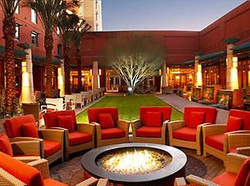 Experience Arizona luxury at Glendale’s four-diamond hotel. 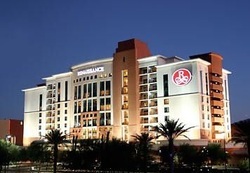 Surrounded by restaurants, shops and entertainment venues, the Renaissance Glendale Hotel & Spa offers 320 exquisitely decorated guest rooms and provides the perfect place to stay, play and relax. Guests will enjoy 46 suites, including three presidential suites and two concierge levels. Inspired by desert sunsets, the décor of the hotel reflects the area’s natural beauty.